I will be reading at the 2017 Bluefire Street Fest in Smithfield, Dublin around 4pm on Saturday, September 16th. For details see here. Others taking part in the Spoken Word section of the festival are Nita Mishra, James Moran, FeliSpeaks, Stacey Lotsy, & Ben Bernie. I will also be reading at a 2017 Bluefire Festival After Hours Spoken Word event at 8pm The Cobblestone, also in Smithfield. On the festival website it says this about the evening event: "With all that’s going on in the world, we are delighted to offer an evening to explore local and global issues. Come and see Ireland and the world through the lens of these writers and poets." 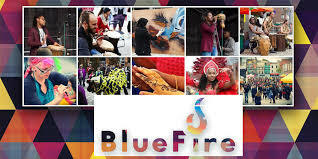 For more about the Bluefire Street Fest see here.